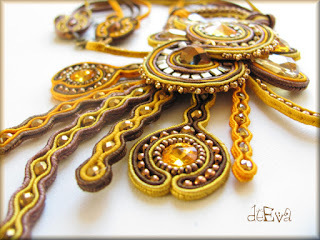 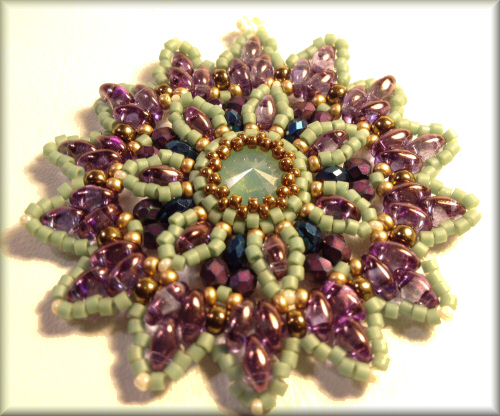 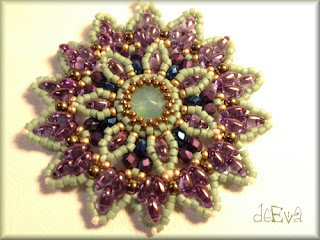 My workshops at the 3rd Beaders Best Bead Art Fair in Hamburg! 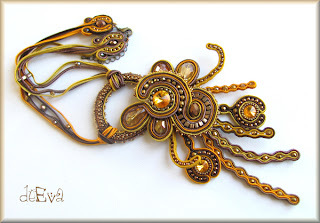 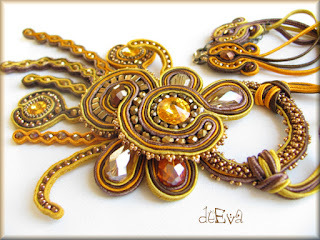 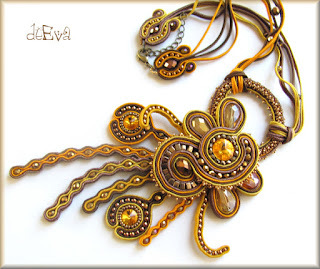 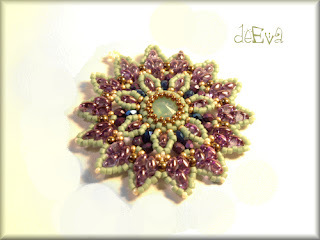 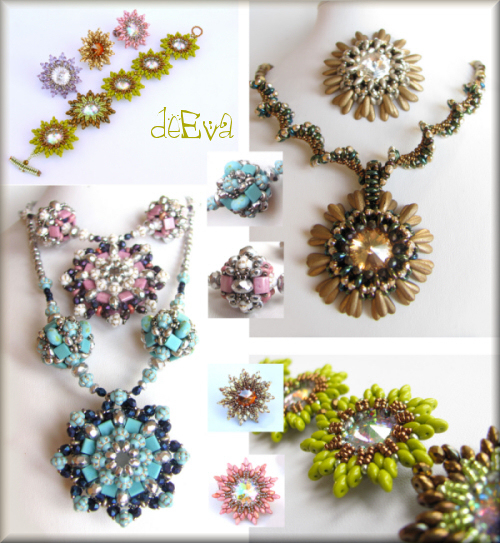 Do you like interesting details, bead shapes and 3D projects? 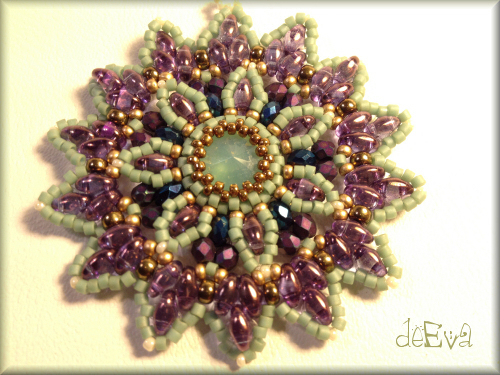 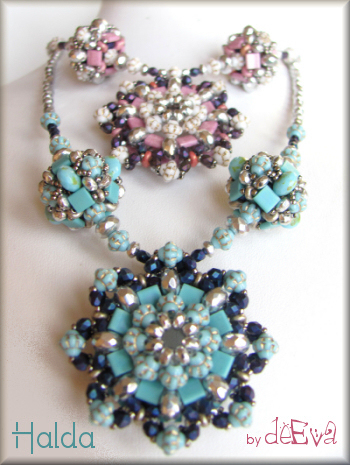 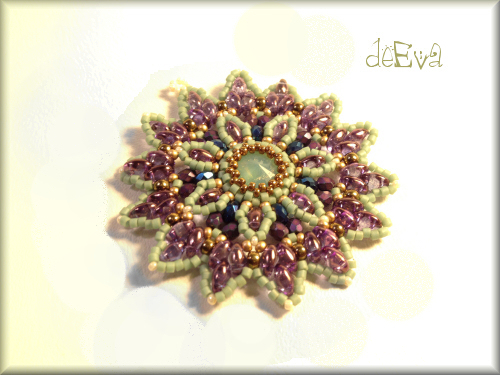 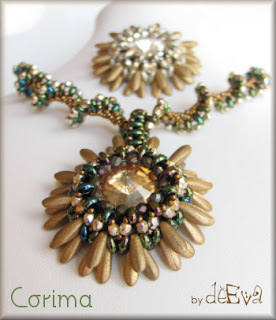 Then the "Halda" pendant project- with the matching beaded beads - is for you! Materials: Tila beads, firepolished beads, pressed beads, seeds. Corima - pendant with daggers, SuperDuos, Twins, firepolished beads, and rivoli. 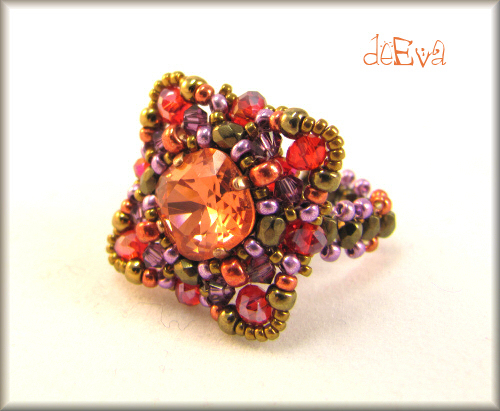 And an interesting new spiral design with Superduos! 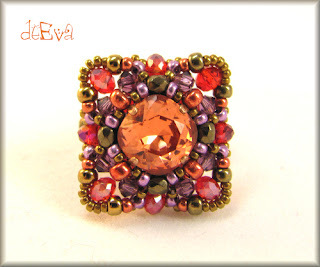 Setting a rivoli can be quick and fun! 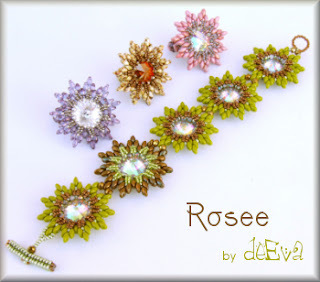 The "Rosee" project shows you a new way of setting crystal cabochons with Superduos, firepolished beads and only a few seeds. 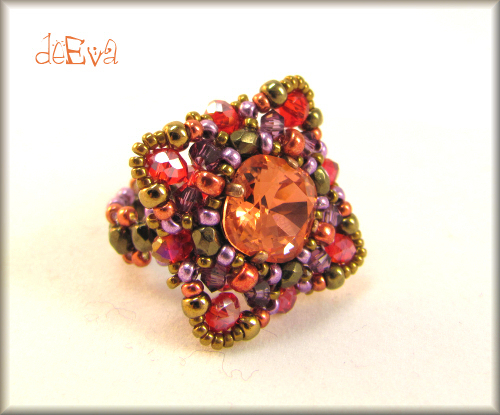 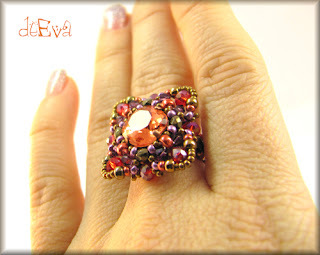 A very versatile design: can be a ring, earring and bracelet too!